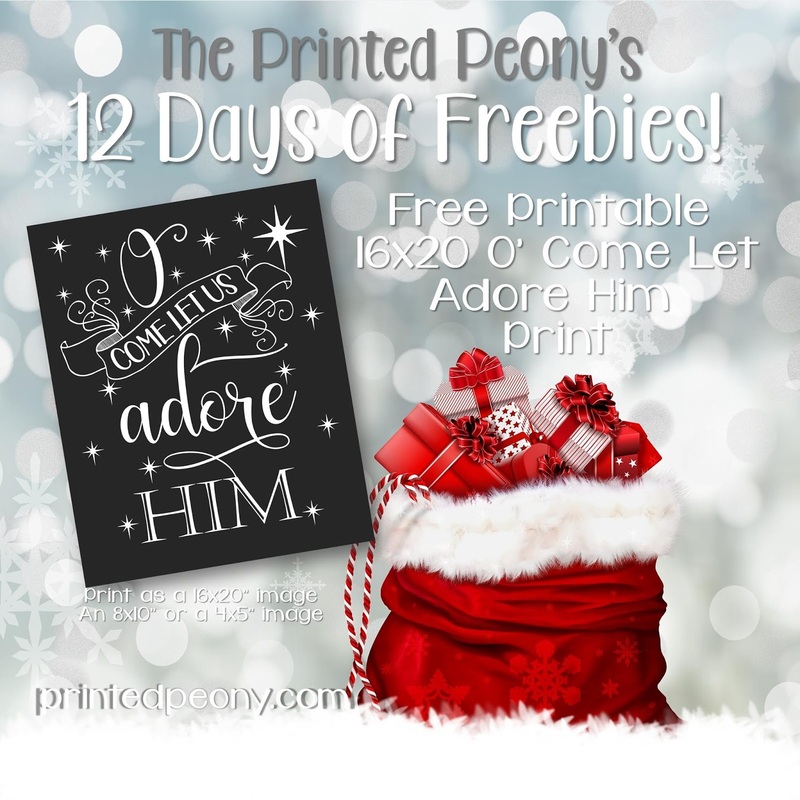 Oh Come Let Us Adore Him is the theme of Day 5 of our 12 days of Freebies. 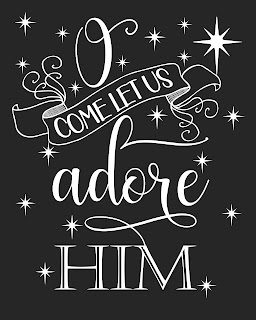 Today's freebie is a simple yet elegant 16x20" Chalkboard Style typography Printable. 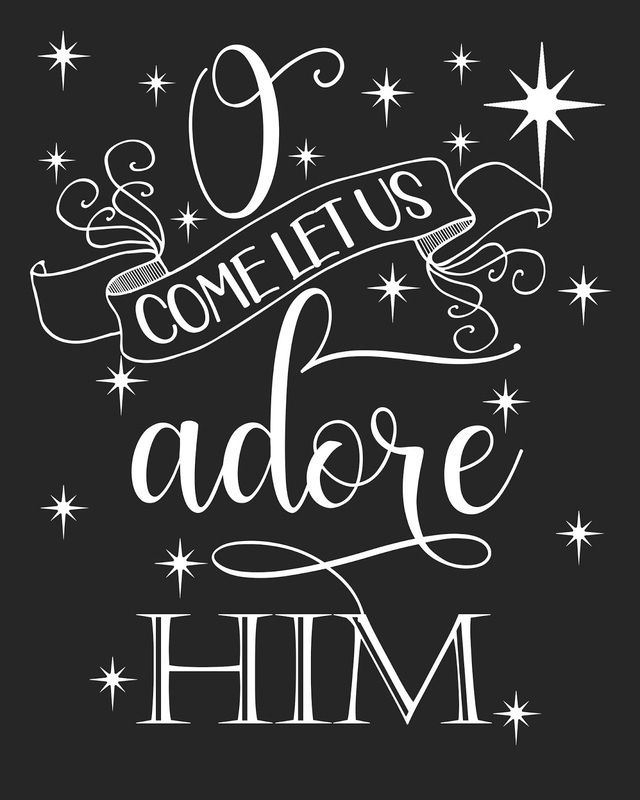 The 16x20" 300 dpi High Resolution jpg features a black chalkboard style background and white wording and adornments. You can print the 16x20" jpg as a 16x20" image, an 8x10" or a 4x5" image.